As a 25-year veteran in gastroenterology, Dr. Nightengale has observed a number of scientific advancements that have significantly impacted patient care and the GI field as a whole, most notably are endoscopic ultrasound machines, which allow gastroenterologists to quickly diagnose problems and effective treatments for hepatitis C. In fact, today’s hep C treatments are cured in 92 percent of the cases. Previous treatment methods for hepatitis C had only a 45 percent success rate, and were often painful for the patients. 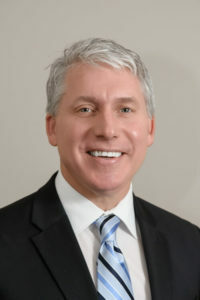 Though Dr. Nightengale’s expertise incorporates a broad number of GI conditions and treatments, he is specially trained as a hepatologist and intensely interested in the diagnosis and treatment of liver disease.